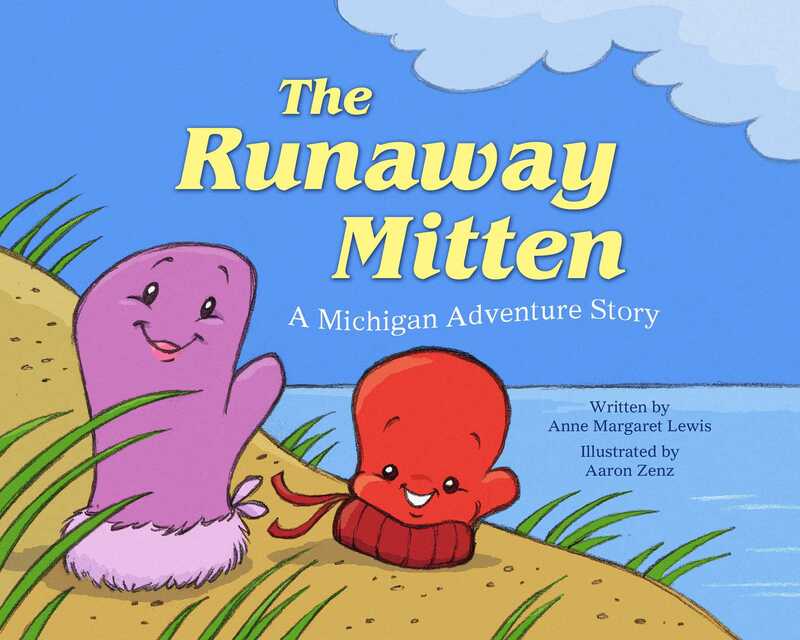 One day a little mitten decides he wants to take an extraordinary adventure across the state of Michigan. His mother, ever watchful of her sweet little mitten, wants to help prepare him for his journey around the mitten state! The little Michigan mitten is going to start his exploration by climbing to the very top of the Sleeping Bear Dunes. Then he will cross the Mackinac Bridge, journey through the Upper Peninsula, swim Lake Michigan, ferry to Mackinac Island, and paddle down the Au Sable River. There are lighthouses to explore and cherries to be eaten! Filled with Michigan factssand dunes reach as high as 524 feet, the Mackinac Bridge is 6.2 miles long, and the Upper Peninsula has over 200 waterfalls!this is a must-have for anyone who loves the mitten state. Anne Margaret Lewis and Aaron Zenz capture the best of Michigan in this sweet story of adventure and unconditional love.